Ideal for two couples or a family of 4, with full kitchen and 1 bathroom with shower and 1 with bathtub. terrace suitable to eat outside, where you can also enjoy the sea breeze. Large bedroom also comes with cradle. TV and WiFi available. peaceful area close to the marina, supermarket, ice cream, cottage by the sea and fantastic restaurants. A 5-minute walk from the city center. Appartement calme, spacieux, bien équipé, proche des commerces et de la mer avec une belle terrasse. Nous avons passé un excellent séjour à Giulianova. Peut-être songer à changer la literie secondaire pour un confort optimal. Outstanding! We were so lucky choosing this flat! So nice and helpful people! Absolutely recommenable! Thank you so much for everything ! You are a beautiful family! We are so lucky with guest like you! Belle prestation, appartement totalement aménagé, bien situé à 200 m de la mer. Ottima sistemazione per trascorrere in tutta tranquillità una bella vacanza a Giulianova Lido. L’appartamento è molto accogliente e dotato di tutti i confort. I proprietari sono persone gentilissime e disponibilissime. Vacanza da rifare…..provare per credere!!! Elegant seaside resort, boasts one of the most spacious beaches in the Adriatic and a clean sea. A promenade that runs along the entire beach allows a serene and undisturbed walks while several gardens provide an oasis of peace and complete relaxation in the hours that vacationers do not dedicate themselves to the sea and sunbathing. Sports tourism is made possible by the presence of modern plant design it for tennis, swimming, sailing, windsurfing, bowling, mini golf, basketball, football 5, but also unique in the area for Athletics and skating. The upper town, the historic Giulianova, it is proposed with the testimony of an illustrious past and a historic center of incomparable charm. 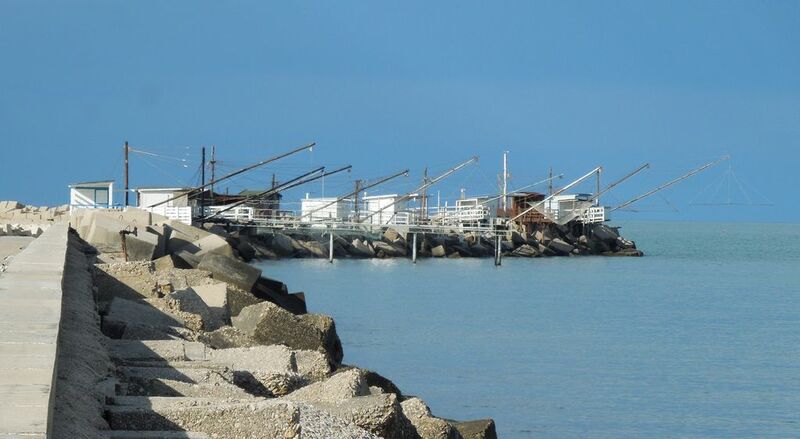 The favorable geographical position Giulianova offers easy access to all major tourist destinations in central Italy, including the Gran Sasso. It 'an important seaside resort, a lively fishing port and a commercial center. The low and sandy coast fade hills soft profile; orderly rows of pine trees and groups of palm trees, interspersed with small flower beds, shade the picturesque seafront promenade of Giulianova. Typical fish restaurants allow you to taste the local specialties. The genuineness of the local food and wine make it unique. The hospitality of the people is extraordinary.